There are several advantages to selling before your divorce is final, particularly if you and your spouse can agree about a purchase price and terms. One benefit is the higher tax exemption married couples receive on their taxes for home sales. If you have a lot of equity built up in your home, the $500,000 exclusion may be better for you than the $250,000 you receive as a single filer. Selling before you divorce also avoids arguments about who gets to live in the home during and after the divorce. 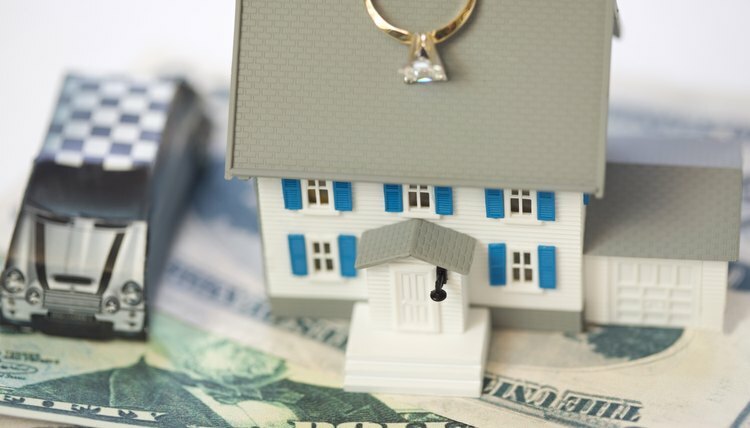 Also, your division of property during the divorce will be more straight-forward because you can split the cash proceeds from the sale rather than the potential value from a sale that has not yet happened. If you and your spouse plan to sell your house after the divorce, you must decide how to split your home expenses until the sale. For example, you need to decide which of you will pay the mortgage and home repairs if your house sits on the market for a year or more after your divorce. You and your spouse could each agree to pay a percentage of the costs or the spouse who remains in the home could agree to pay all costs. You must also decide how to split the profits from the sale. Since you don’t know exactly how much your sale price will be, it is generally best to split the profits on a percentage basis, such as a 50/50 split, rather than using a set dollar amount to be paid to each spouse. The plans you and your spouse make for the disposition of your house can be added to your divorce settlement agreement. Typically, agreements that are not recorded in writing cannot be enforced later, so it is in your best interests to get everything in writing. For example, if your spouse agrees to pay the entire mortgage while she lives in the house before it sells, you want to get that agreement in writing in case she suddenly decides to stop paying. Your settlement agreement is also the place to address how you and your spouse will split the profits from the sale. If you and your spouse cannot agree on how to split assets and debts, including the costs and profits of your house, your divorce court will decides these issues for you. Each state has its own rules for dividing property during divorce, and your state’s laws may give your judge wide discretion when splitting your assets. For example, most states split property equitably between spouses, meaning the split is fair but not necessarily equal. Judges frequently use a list of factors from state statutes to determine a fair split. If your house is not sold prior to your divorce, your judge may require appraisals or other proof of the home’s value to help him split it fairly. Husband Help Haven: Should I Sell the House Before or After the Divorce? Equity in assets is a crucial part of property division in a divorce and the marital home is often a couple's most valuable asset. Most state laws require a home's equity to be determined by appraisal as part of the divorce process. It's important to identify equity because each spouse is entitled to a share of it as part of property division.